If you’ve ever wondered whether the benefits of solar energy can outweigh the costs, you’re not alone. Interest in this alternative, sustainable energy source has steadily increased since it was first introduced. In fact, solar panel installations increased 70 percent in 2015 over the previous year, while costs have dropped 73% since 2006. Maybe there’s something to this growing trend. Need convincing? 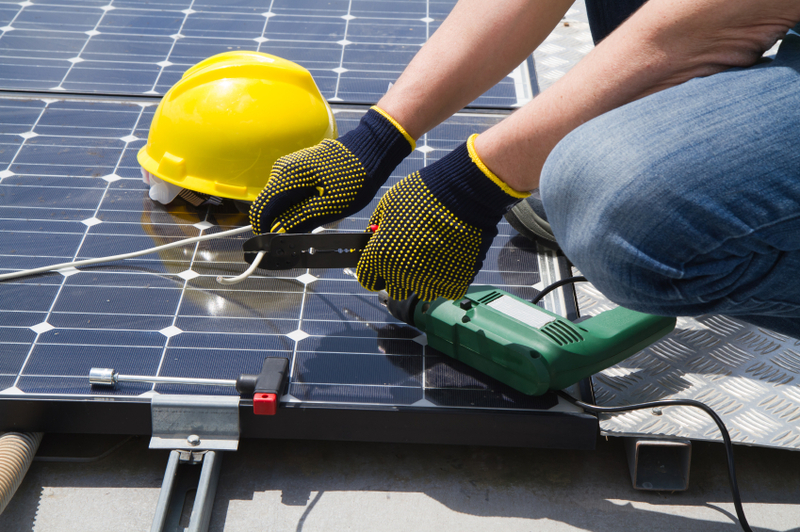 Here are six reasons why you should consider solar panels. The average solar array costs between $11,200 to $14,400. If that seems too expensive, consider this: a recent study showed that customers save an average of $44 to $187 per month the first year they own their solar panels. That’s anywhere from $528 to a whopping $2,244 in a single year, meaning your system could pay for itself within five years — and continue to save you money on your monthly utility bill for years to come. According to some estimates, the average solar system saves consumers more than $20,000 over 20 years. In some areas, the savings can reach up to $64,000. Even if you aren’t convinced of the benefits of solar power yet, the United States government is. 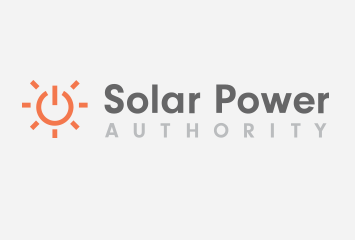 In fact, the government offers a 30% federal solar tax credit to both residential and commercial properties, and many state governments offer additional tax credits as well. Keep in mind that the federal tax credit will expire December 31, 2016, after which the credit will drop to 10% for commercial systems and be eliminated for residential systems. A 30% tax credit may not seem like much now — but come tax season, it will be the cherry on top of the monthly energy savings you’ll already be enjoying. A recent study by the Department of Energy showed that prospective home buyers are willing to pay a premium of $15,000 for a home equipped with an average-sized solar system. The average solar system uses 3,600 watts, which means you can anticipate an additional $4 in home resale value per watt. Considering the cost per watt today is around $3, and is expected to drop even more in the future, solar energy will continue to be a smart investment for your home. A single solar system installation offsets 178 tons of carbon dioxide over 30 years, which is equivalent to planting 10 football fields full of trees. That may not seem like much — until you compare that to the majority of our energy currently dependent on electricity generated by oil and coal, which contribute to devastating global warming effects. Instead of burning fossil fuels that slowly destroy the Earth’s ozone layer (which protects ice caps from melting, among other things), solar energy uses energy that is already present and does not harm the environment. Generators can break, fossil fuels can run out, and utility companies can dissolve. The sun, on the other hand, is not going anywhere anytime soon. In fact, the sun provides roughly four million tons of energy every second — and humankind uses only .0001% of that amount in global energy consumption. Solar panels require only a miniscule piece of that solar energy surplus to power your home, which means you never need to worry about it running out. 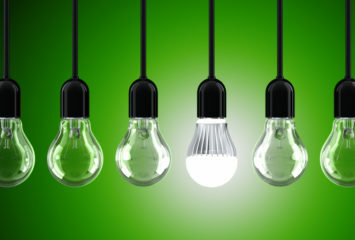 Sustainable and renewable energy creates an independence from expensive energy providers. Unlike a local utility provider, the sun will never increase its rates. In the past two years, the United States has experienced a 3.2% average increase of residential electricity prices. If these trends continue, it may be wise to consider solar. You can even sell your surplus energy back to the grid, flipping the script on who’s reliant on whom. I like what this article mentions about solar energy being reliable. Although it seems like common sense, it didn’t occur to me that solar is not only reliable but renewable. I’ll have to keep this in mind when looking to have solar installed on my home this summer. I really like your point on how you can have security in your energy because it will never run out. There is a lot of controversy surrounding the use of fossil fuels, so I wouldn’t be too surprised if the country started shifting towards solar energy anyways. Either way, I should probably consider this as an option! I didn’t realize that installing solar panels meant your house will be valued for more money. I can see why this would be important for people who anticipate selling their house within the next couple years. Perhaps it would be smart to consult with a professional. My husband and I recently moved into a new home. I love how big it is, but the power bill is outrageous! You mentioned that solar panels only require a tiny amount of solar energy to power a home, so I think that this might be a great investment. Thanks for the very informative read. You wrote that a single solar system installation offsets 178 tons of carbon dioxide over 30 years, which is equivalent to planting 10 football fields full of trees. I’ve been thinking about having solar panels installed, and wanted to know the extent of the benefits. Knowing how big the impact is on the environment, it really makes me want to find a solar panel professional, and see if it would work with my home. The tax save depends on the country. For the international readers, in countries with an open energy market, you can sell energy. This has two significant benefits. First off, you can be sure you’re not wasting any energy. For example, if your solar system is batteryless, you won’t lose any excess power you’ve produced. Secondly, almost anyone with enough funds can create a solar park and make money with it. Sure, there are some rules and regulations, and you have to acquire a few permits, but if you’ve created a solid project, then nothing can stop you. Also, one thing you didn’t mention was securing your future. As time goes on and fossil energy becomes more and more expensive, you can sit back and enjoy your stable energy price which costs as much as your solar system, and it’s maintenance. I agree solar panels to your home can add value to your home. For those who love saving energy and protecting the environment, buying a home that has solar panels would be a big buying appeal for the home. I think installing solar panels is worth the investment. I never realized how much value solar panels can add to your home. It was helpful that you mentioned how solar energy can be a smart investment for your home. My husband and I should really consider installing solar panels for our home to help us save money and the environment! I didn’t know that solar panels could save you so much money! Just like you said, it’s such a great investment for your home. I’m going to talk to my husband about this! I had no idea that a single solar system installation offsets 178 tons of carbon dioxide over 30 years. I have been thinking about getting solar panels for my home, and if only one solar panel can help get rid of that much carbon dioxide it seems like it would really be worth it. I have been wanting to have a better source of energy and if I can help the environment by doing so that would be great. Thank you for the information!